I finally made it to FATCAT Ice Cream Bar! After checking out the one-week-old The Burning Oak, I made my way down to try this dessert place, which is in the same area. I have been seeing so many awesome pictures of their desserts on Instagram that I had to try it for myself. While there was a queue outside, we got a seat straightaway since it was just the two of us. Fortunately, we managed to score for ourselves the window seat. One of their plated desserts, Banana Nutella Dessert ($9). The plated desserts on offer each day differ due to the fresh ingredients they can get hold of. There were only ten of these left when I got there an hour after opening. The pina colada spheres were already sold out! There has been a sudden explosion of cafes operating below HDB blocks recently, as more and more food operators are bringing coffee and desserts closer to homes. 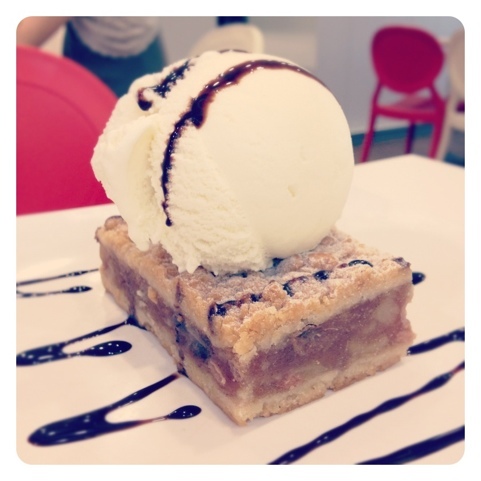 V360 Cafe, a quaint cafe in Jurong West, is another cafe that has also hopped on the bandwagon, This cafe, as we found out later, is very popular with the students from the secondary school nearby. The first thing that grabs your attention as you enter the cafe is the beautiful mural that is applied across the walls of the cafe. The vibrant shade of yellow brightens up the area. Another cafe exuding the old school charm is Sin Lee Foods, which is located in one of the older estates around Singapore. The cafe is just a stone’s throw away from Singapore Examinations and Assessment Board (SEAB) and a five minutes’ walk from Tiong Bahru MRT Station. I emailed them about a week prior to my visit for a reservation and requested for a seat next to the windows, which I can assume while not stated indoors specifically, was very much implied. However, when I arrived, I was told that the seat had been given to someone who came earlier than me, even though I was punctual. To which they apologised almost immediately through my Instagram, stating that the indoor tables were fully occupied by patrons who had reserved tables before me. I just wished that they had told me that when I made my reservations, rather than when I had already reached the cafe. The alfresco dining area is the first thing that you will see upon arriving at the cafe. Seeing that there were no available tables indoors, we had to sit outdoors. It was rather breezy, but there were plenty of flies, which was a huge turn-off. After a busy weekend, it’s time for some pampering for the tummy again. We intended to have a full Japanese treatment, sashimi, teriyaki, desserts and all, but our intended location for desserts has moved. 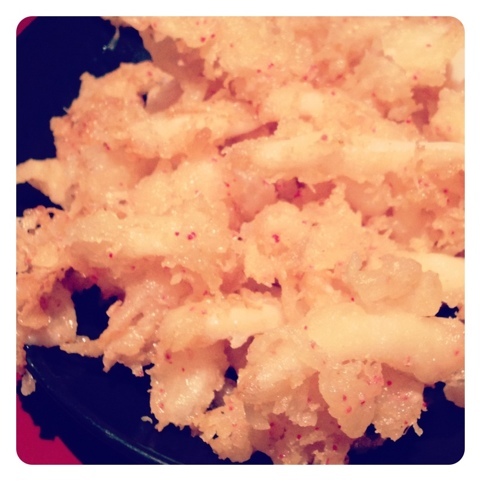 We had lunch at Sushi Tei, my family’s preferred restaurant for a good Japanese craving fix. Rather affordable for quality sashimi and the other Japanese food items. 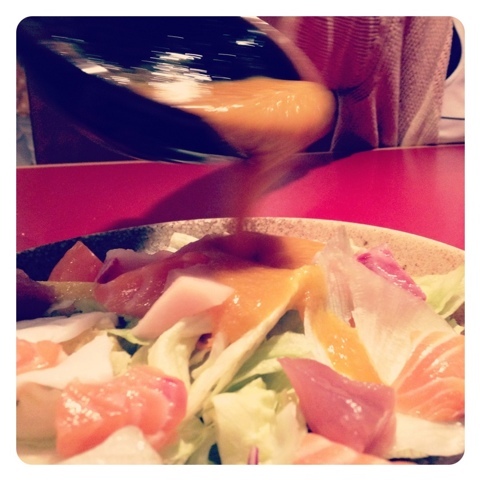 Sashimi salad with Sushi Tei dressing. 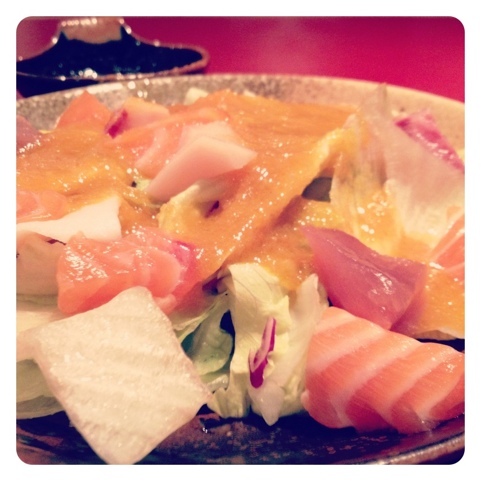 Look at the huge slices of sashimi and the thick fatty white lines on the salmon! 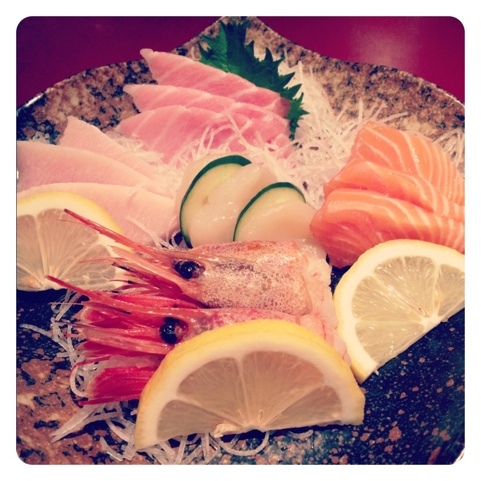 The usual sashimi set that we always order: prawns, tuna belly, salmon, scallop and swordfish. A must-have for my dad. 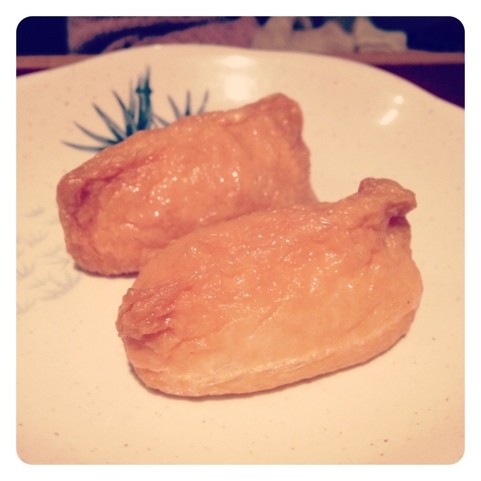 His inari sushi. The stringy calamari. According to my family, the batter is light and fluffy. 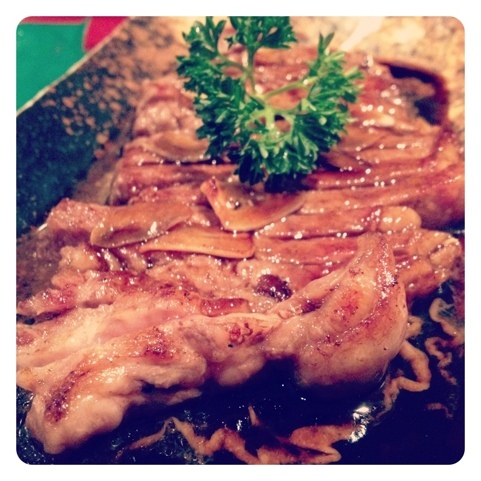 Teriyaki garlic beef steak. It looks raw here but it is not. The steak is well done but still tender. 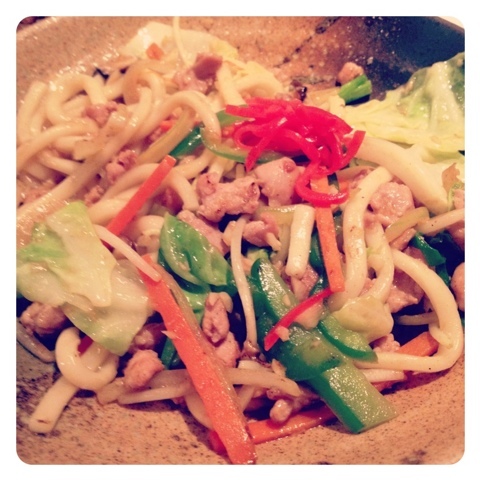 Last main course, yaki udon with chicken. 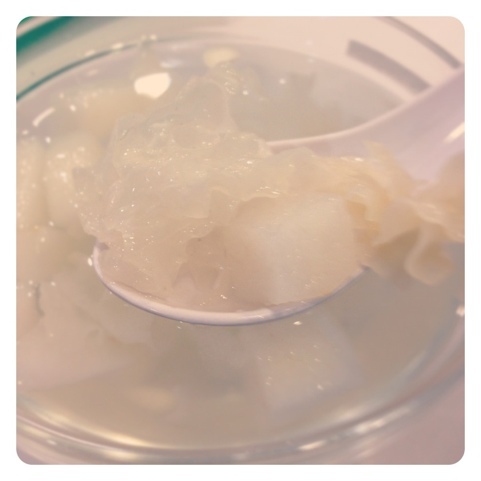 Tasted like stir fried chinese noodles. We then went to The Dessert House for dessert. While the pictures below might look tempting, the desserts are below expectations. 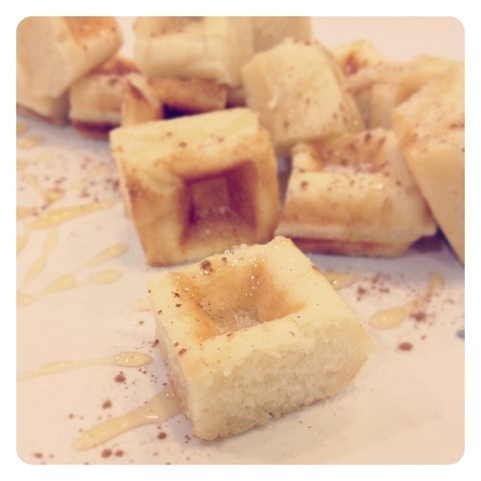 The waffles weren’t cooked long enough, the cinnamon sugar was sparse and the pear lotus dessert was bland. The only saving grace was the apple crumble ala mode. Every mouthful a huge chunk of apple. Both outlets may be found at West Coast Plaza.